This morning we go directly to Eraclea Minoa (near Agrigento), because I have a special remembrance of this place. There is a very nice forest of pine along a beach of sand. On the top of the coast an interesting and important archeologic site. From this point, you can see all the bay. The pine forest is the same, the beach now is smaller than 40 years ago; on the border of forest they built 20/30 little house for holiday and a village-camping. Also disappeared a cliff of pink cristal of quartz. But 40 years is a long time…….. This Articel was read 538 times! 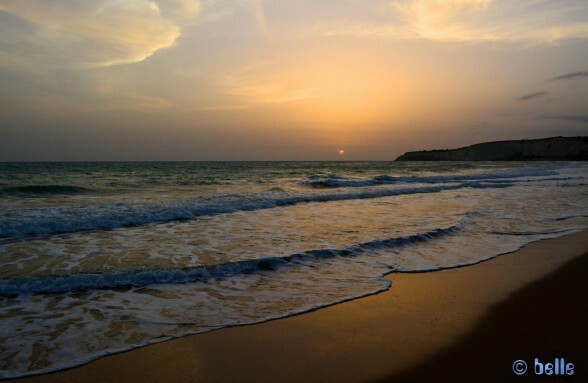 Dieser Beitrag wurde in Baffo Grigio, English – Englisch, Italian – Italiano, Travel-Reports veröffentlicht und mit Agrigento, Beach with Sand, Eraclea Minoa getaggt.